The problem on existence “in the large” of a solution to the 3D Navier-Stokes equations is open up to now. Nevertheless, for some modifications of the Navier-Stokes equations describing practical problems this problem has been successfully solved. 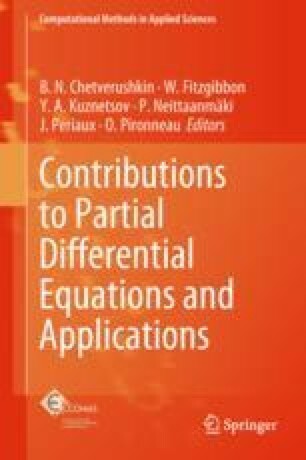 For instance, for the system of Primitive equations describing large-scale ocean dynamics, existence and uniqueness of a strong solution for any time interval and arbitrary initial conditions and viscosity coefficient was proved (Kobelkov J Math Fluid Mech 9(4):588–610, 2007) . O.A. Ladyzhenskaya proposed (Trudy MIAN SSSR 102:85–104, 1967)  a modification of the Navier-Stokes equations allowing to prove existence of a solution “in the large”, but this modification was not “physical”. Here we improve the Ladyzhenskaya result modifying not all the three motion equations, but only two of them and only in two (horizontal) variables (not three). Such kind of problems arises in ocean dynamics models. We also consider the case when the viscosity coefficients in vertical and horizontal directions are different. For all these cases existence “in the large” of a solution is proved. Unfortunately, these results cannot be extended to the case of 3D Navier-Stokes equations as well as in the case of Ladyzhenskaya modification.